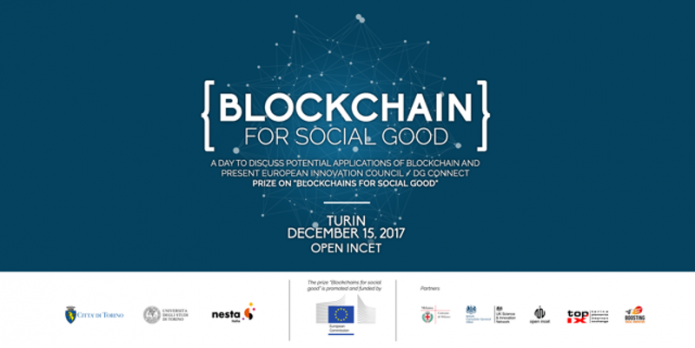 Website developed by Libre s.c.
On December 15th Open Incet will be the place where to talk about cybersecurity and validity of data at the BLOCKCHAIN FOR SOCIAL GOOD, an event that will bring together policymakers, startups, researchers and other representatives of academia, and anyone else interested in the space of blockchain and its potential. The event will open with the launch of the €5m European Commission Prize: “Blockchains for social good”. The prize has been designed by the European Commission to promote scalable, efficient and high-impact decentralized solutions to social innovation challenges leveraging the technology used in blockchain. The presentation of the prize will be followed by the panel ‘Uncovering the potential of blockchain’ with the participation of Andrea Bracciali (Lecturer, University of Stirling), Marcella Atzori (Blockchain Advisor and International Coordinator, TrustedChain) and Massimiliano Sala (Professor and Director of the Laboratory of Cryptography (CryptoLabTN), University of Trento). Leonardo Camiciotti, Executive Director at TOP-IX Consortium will moderate the discussion. ​Among others, Alessandro Lombardi, Microsoft’s Digital Transformation Advisor, will also participate. Francesca Bria (Chief Technology and Digital Innovation Officer, Barcelona City Council), Paola Pisano (Deputy Mayor for Innovation and Smart City, City of Turin), Cristina Tajani (Deputy Mayor, Municipality of Milan) and Fabrizio Sestini, Senior Expert for Social Digital Innovation, DG will present the ‘Benefits of blockchain in cities’, a panel chaired by Marco Zappalorto, Director, Nesta Italia. Throughout the event, a few successful examples of blockchain applications will be showcased by corporates, startups and universities. The event will close with a networking reception until 16:00 followed by a pitching session about the social goods security aspects introduced by the blockchain, moderated by TOP-IX Consortium. The event is organized by City of Turin, University of Turin and Nesta Italia in collaboration with the European Commission, City of Milan, UK Government Science and Innovation Network in Italy, Open Incet and Top-ix Consortium.